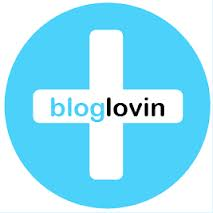 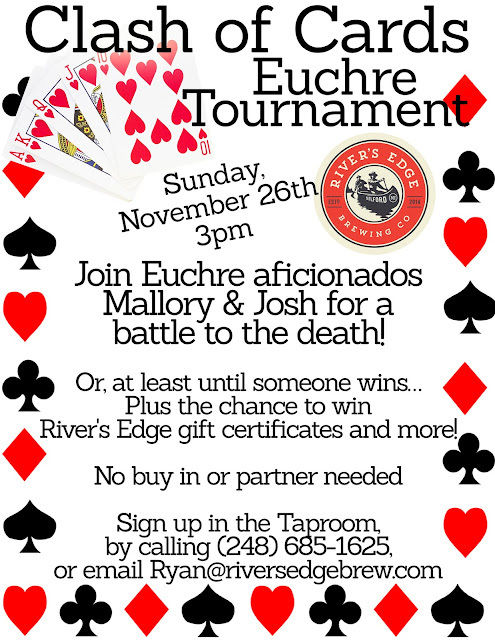 Prizes: River's Edge Gift Certificates & More! 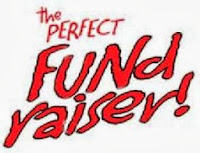 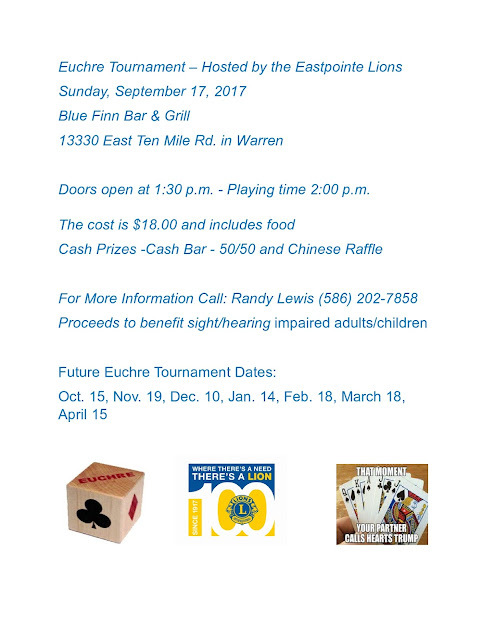 Proceeds to benefit sight/hearing impaired adults & children. 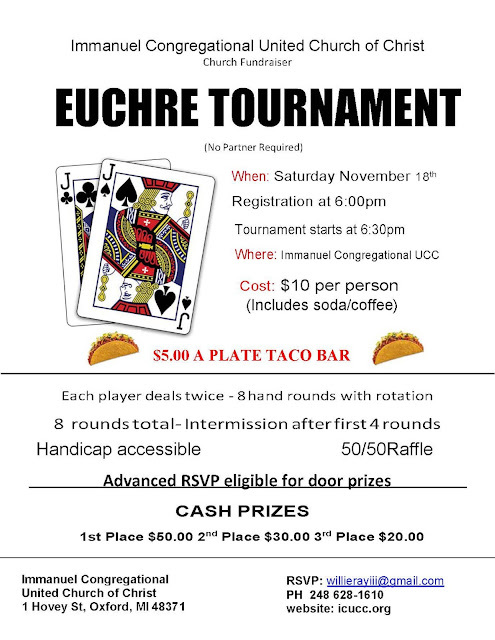 Enter your tastiest chili recipe in the chili cook-off contest! 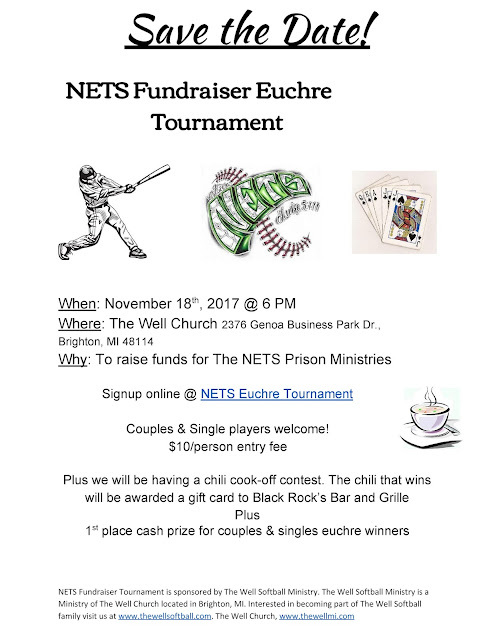 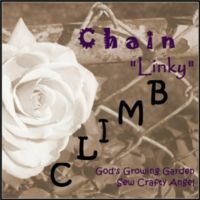 Proceeds raised will benefit The NETS Prison Ministry. 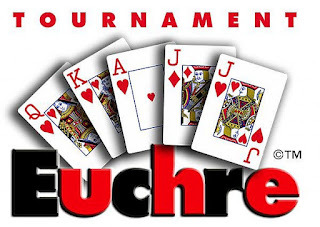 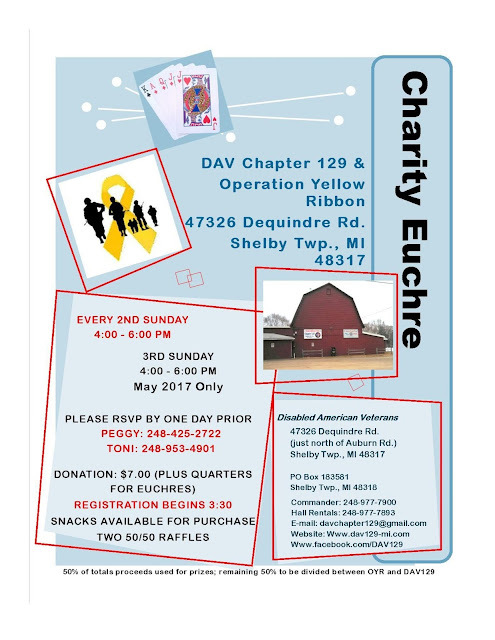 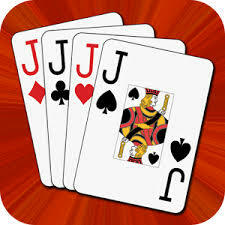 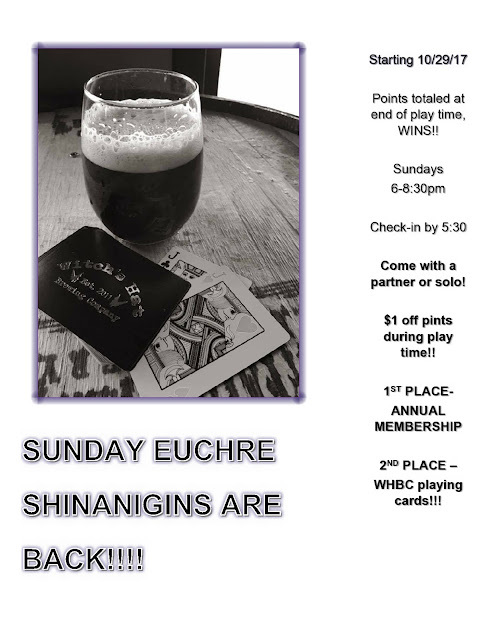 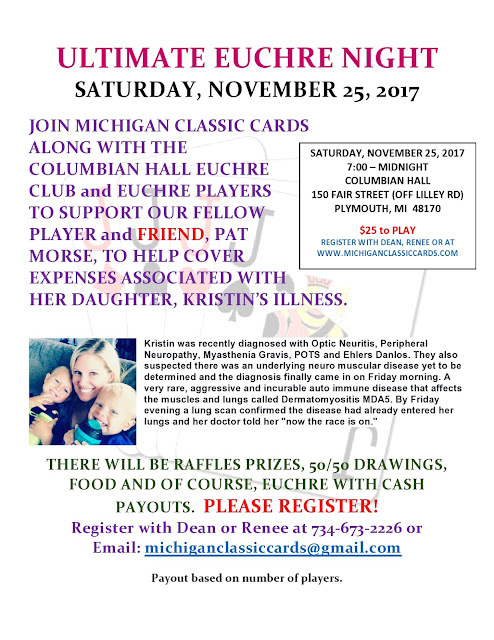 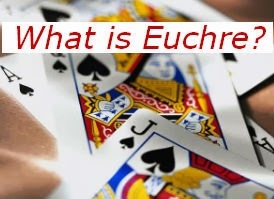 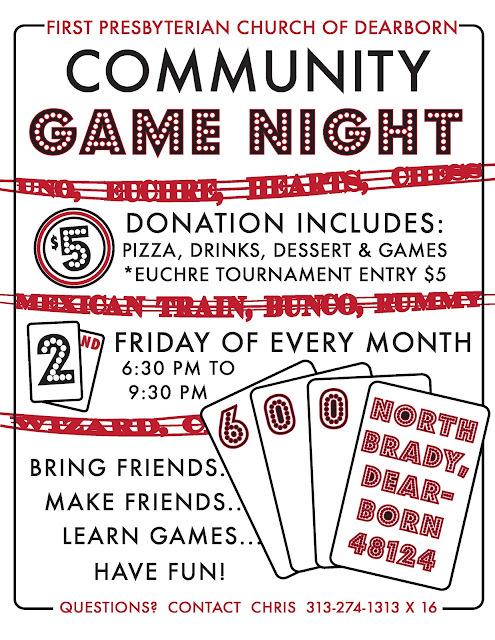 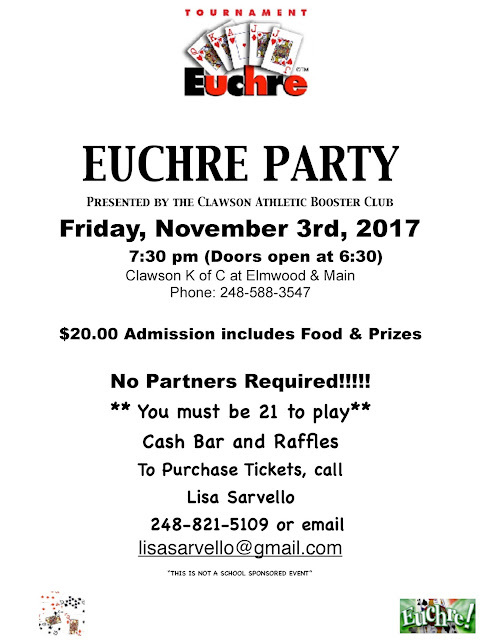 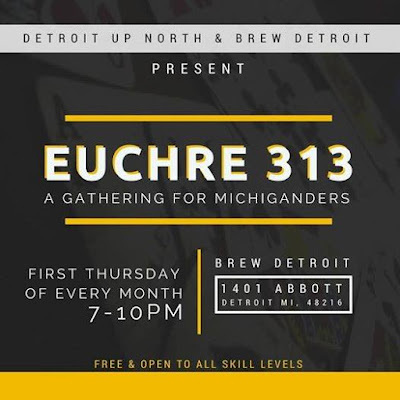 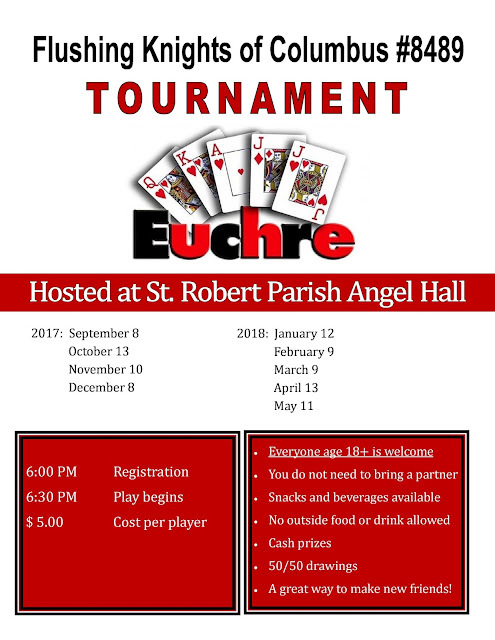 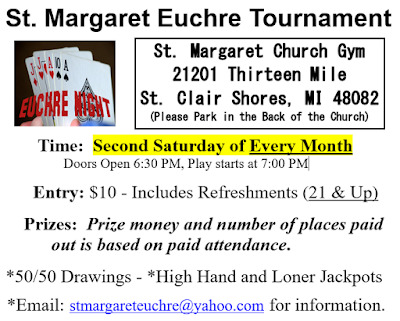 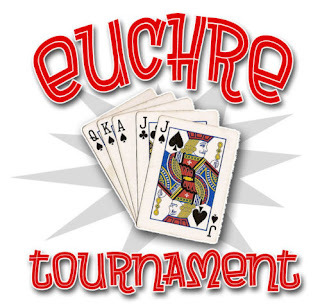 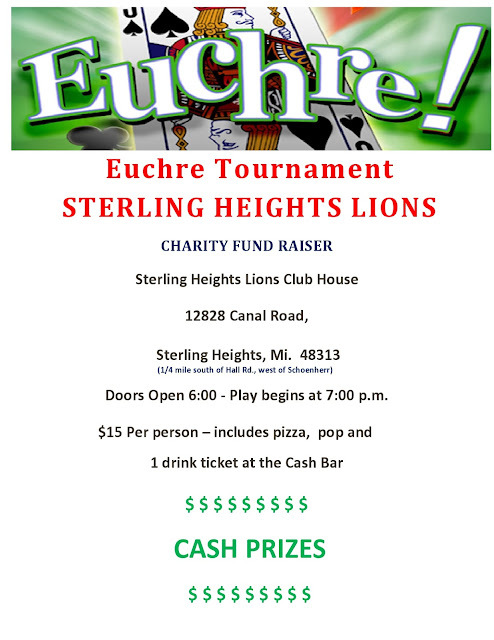 Bring your family and friends for a FUN night of Euchre and help out a great cause! 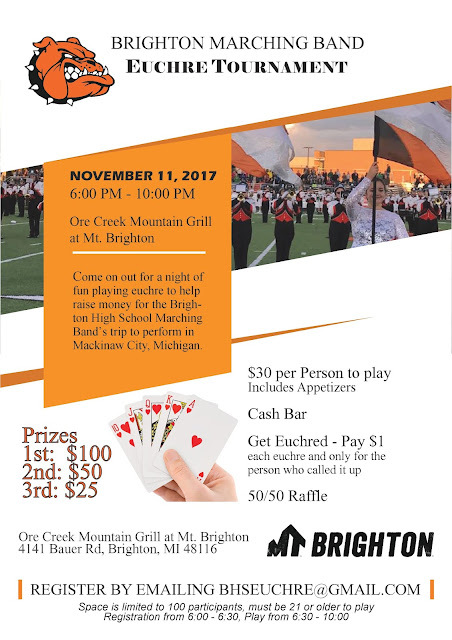 Proceeds benefit the Brighton High School Marching Band’s trip to perform in Mackinaw City, Michigan! 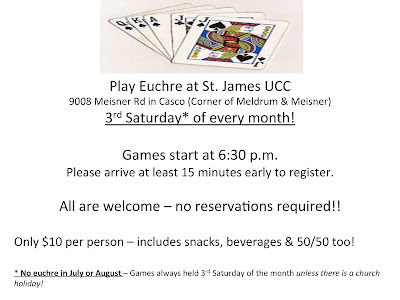 Coming up this weekend ... Make plans to join the FUN!! 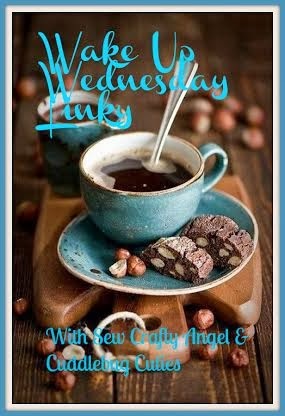 A great way to meet new friends!